Downtown Grand Rapids, Ottawa Ave and Monroe Ctr., Downtown, Michigan. 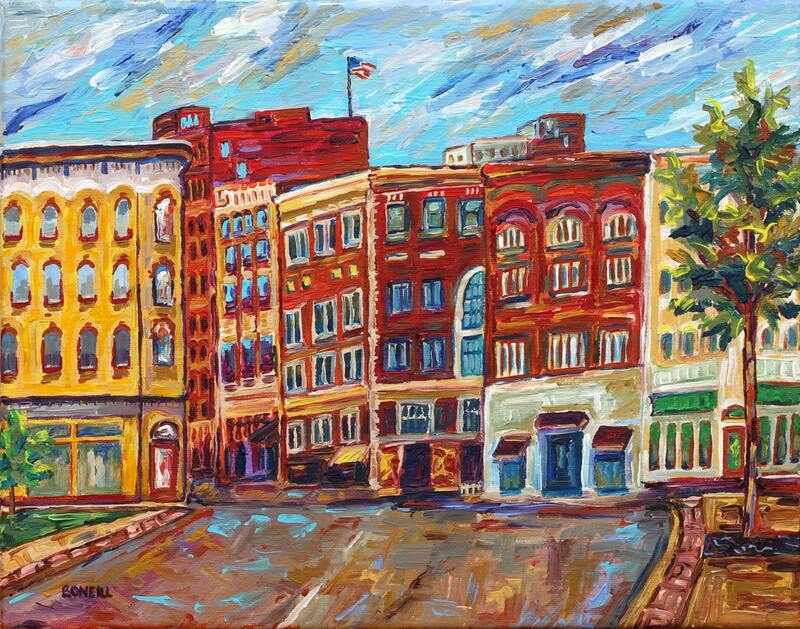 A bright and bold giclee print of Downtown Grand Rapids where Ottawa Ave and Monroe Center intersect. One of my favorite places to be! Ice cream in the summer, coffee in the fall, and ice skating in the winter, all while taking in the grand old architecture of my home town.